Bust out your lederhosen because it’s time of year for all the pretzels, beer and oompah music you can stomach, it’s Oktoberfest. Across Southern California, Germans and fans of the celebration enjoy festivities in the spirit of the traditional Bavarian holiday, renowned for its copious consumption of beer. Dating back to 1810, the history behind Oktoberfest had nothing to do with the focus on beer that the modern celebration has evolved into. Oktoberfest is a misnomer of sorts, at least in terms of when it’s celebrated here in America. 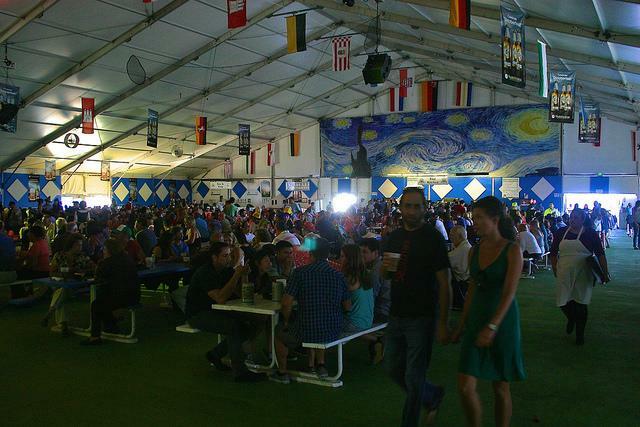 Travel to Munich, Germany late in October and you may be disappointed to see the infamous beer hall tents on the Theresienwiese fairground long packed away for next year. The true celebration mainly takes place in September, with the festivities wrapping up on the first Sunday in October, according to tradition. Aside from the reality that Septemberfest doesn’t quite strike a chord, the reasoning behind the name has historic significance — being October 12th marks the wedding that started it all, over 200 years ago. When Bavarian Crown Prince Ludwig (later King Ludwig) asked the lovely Princess Therese of Saxe-Hildburghausen to tie the knot, he never imaged it would turn into an event that entertains over 6 million worldwide visitors annually. Inspired by their love, the royal couple invited all of Munich to join in on the celebrations before the ceremony, thus spawning the fall tradition. Nowadays, Germans and foreigners alike consume gallons of beer during the iconic festivities. Although American Oktoberfest celebrations are unlike their German counterparts, residents of the San Fernando Valley can get a taste of the tradition this month at these local events. Running 47 years as Southern California’s oldest and largest Oktoberfest celebration, Alpine Village in Torrance, offers traditional German themed food, beer and music that’s fun for the whole family– at least on Sunday that is. The celebration runs through the 26 taking place every Friday through Sunday with 21 and older admission only on Friday and Saturday set at $20. Sunday prices are set at $5 for all ages. 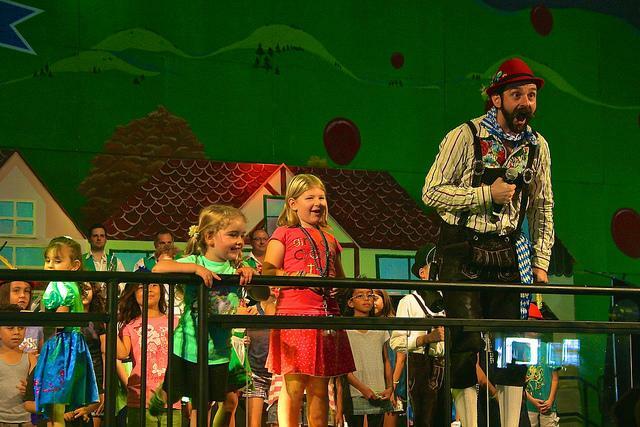 Traditional oompah performers, The Munich Boom-Steiners, bring their musical stylings for an authentic sound. Every Sunday from 1-5 p.m. Wurstkuche restaurant in Venice welcomes all to celebrate Oktoberfest with taps flowing and stomachs growling. As the first installment of Wurstkuche’s Oktoberfest celebrations, come enjoy traditional food and brew with music by The German Zeitgeist Band. This month-long Oktoberfest lets you drink steinfulls of your favorite beer while watching some of L.A.’s best tribute bands, including Led Zepagain and Rumours, and the meticulously prepared Fleetwood Mac show. German-style brews from Warsteiner, Spaten, Hangar 24 and Franziskaner are on tap, along with the guarantee that you’ll never have to miss any of your favorite weekend sporting events since the MLB playoffs, college football and NFL will all be screened. Join them Friday through Sunday all October to get your taste of Oktoberfest this season.